Michael Llewellyn "Mick" Lewis (born 29 June 1974) is an Australian cricketer. 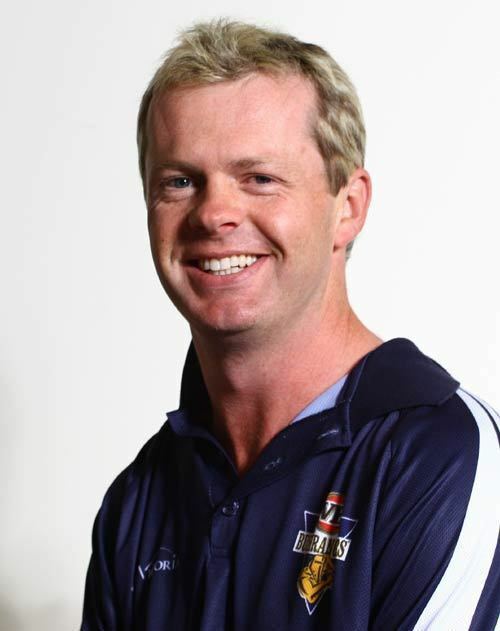 Born in Greensborough, Victoria, Lewis was a grade cricketer who played for Northcote and the Victorian Bushrangers gave him his first-class debut in the 1999/2000 season. Over the next few years, he re-modelled his action and considerably improved his game, and had outstanding seasons in 2002/03, 2003/04 (the season in which Victoria won the Pura Cup) and 2004/05. He was one of two Australian overseas players for Durham CCC in 2006 (the other was Jimmy Maher, brought back on the back of success as a back-up in 2005. He did not live up to expectations as he proved expensive at times, and he averaged 76.33 with the ball in the ECBs 40-over one day competition, the pro40. He was also warned by the ECB for swearing. Following Lewis dropping from the national side, he continued to play for Victoria, and was a handy contributor until injury struck the following season, and Lewis was forced out during a time in which Victoria did not have a single fit contracted pace bowler in their entire squad. This opened the door for several young pacemen, such as Darren Pattinson and Clinton McKay to make their debuts, and when Lewis returned from injury, he found it difficult to adjust and return to his previous form. By the following season, Lewis was struggling to keep his spot in the side consistently. In 2008 Mick Lewis began playing for Coburg Cricket Club in the Victorian Subdistrict Cricket Association. He won the bowling award in his first year and finished well in the Clubs best and fairest. The Following Year Mick was made Captain of Coburgs First XI Mens Side and Led them a Championship and Premiership.